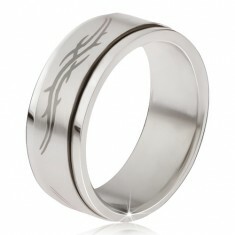 Your favorite product: Steel ring, ring, the engraved outline of a fish, black glaze BB5.20 - is added to the wish list. 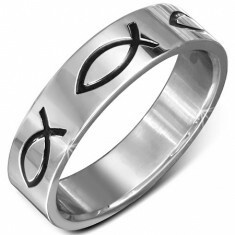 Ring made of surgical steel in a shiny silver copy, the black outline of the fish. Your favorite product: Ring made of steel 316L, round clear zircon in the ring with cutout, two tone S24.21 - is added to the wish list. 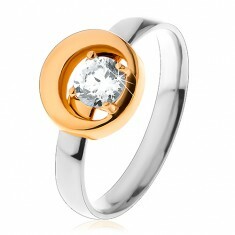 A glossy steel ring, with the arms silver color, with a round widening of the lines in a golden hue, clear-cut zircon. 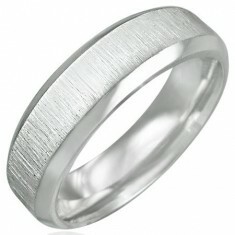 Ring surgical steel - elegant shiny ring with a matte crosswise brushed center bands. 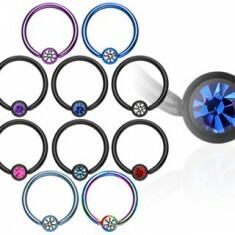 Your favorite product: Piercing ring with a ball of anodized titanium C9.20 - is added to the wish list. Your favorite product: Ring surgical steel with zirconia - is added to the wish list. A steel ring with a fine vertical grinding, in the middle of the ring is a zircon. 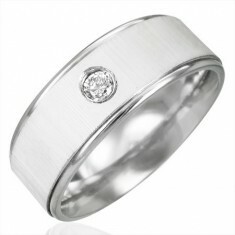 Your favorite product: Wedding ring surgical steel with a central chain stripe D5.4/D5.5 - is added to the wish list. Wedding ring surgical steel with a chain in the middle of the ring, a shiny. Your favorite product: Blue articulated earrings made of surgical steel with carved rings Z44.08 - is added to the wish list. 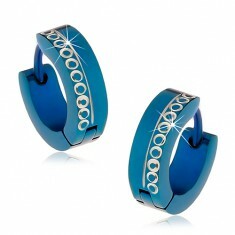 Circular stud earrings made of steel 316L in a dark blue metallic color with a stripe and rings silver color. 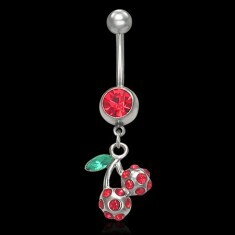 Your favorite product: Navel ring red cherries with a zirconia X17.1 - is added to the wish list. Beautiful piercing in belly button ring with steel cherries and red cubic zirconia. Your favorite product: Articulated earrings made of steel 316L, silver color rings with black triangles X04.05 - is added to the wish list. 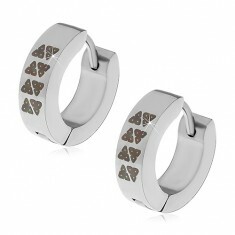 Steel earrings in a silver shade, shiny rings with a black motif of triangles, the articulated fastening. Your favorite product: Steel ring blue - is added to the wish list. Ring of steel is the focus of silver color and notches around the edges of the ring. 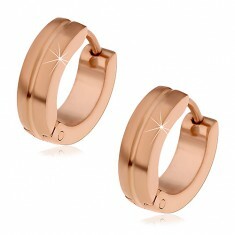 Your favorite product: Steel earrings with hinged polished stainless steel, color copper, rings with a notch X13.20 - is added to the wish list. Earrings made of steel 316L - matte zlatorůžové rings with a vertical notch in the middle and with shiny side parties. Your favorite product: Piercing a belly button ring dragonfly with a red banner I14.25 - is added to the wish list. Piercing a belly button ring dragonfly with red zirconia in the header, tentacles and wing. Your favorite product: Piercing ring with a ball of anodized titanium with zirconia C10.5 - is added to the wish list. 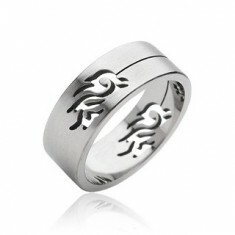 Your favorite product: Steel ring, a symbol of Tribal H17.4/5/6 - is added to the wish list. Ring surgical steel with motive Tribal and the thin stripe in the middle of the ring.